I have wanted to attend Stanford University ever since I was a little kid. I remember telling people in 5th grade that Stanford was the perfect place for me, and I spent many years thinking about what it would be like to drive down Palm Drive as an actual student, as opposed to just another dazed high school student, eager to take photos and trick the admissions staff into letting me in. This September, my dreams came true as my parents and I piled into the car and made the 45-minute trip to campus, where I was greeted, by signs and excited dorm staff, as a member of the Stanford University class of 2014. What most people don’t know is that I actually wasn’t sure whether I was going to attend Stanford. When I was accepted back in March, I spent many days going back and forth between Stanford and some of the other universities I was accepted to. I kept wondering how I was supposed to know I was making the right decision. After all, up until this year, I only spent time thinking about what electives to take and where I wanted to go for lunch, but this was a decision that was going to decide the course of my entire future. I made numerous pro and con lists, solicited advice from many people, and changed my mind about four times between finally settling on Stanford. I figured that my 12-year-old self had fallen in love with it for a reason, and that if all else failed, at least I was avoiding the snow (I don’t fare well in the cold). 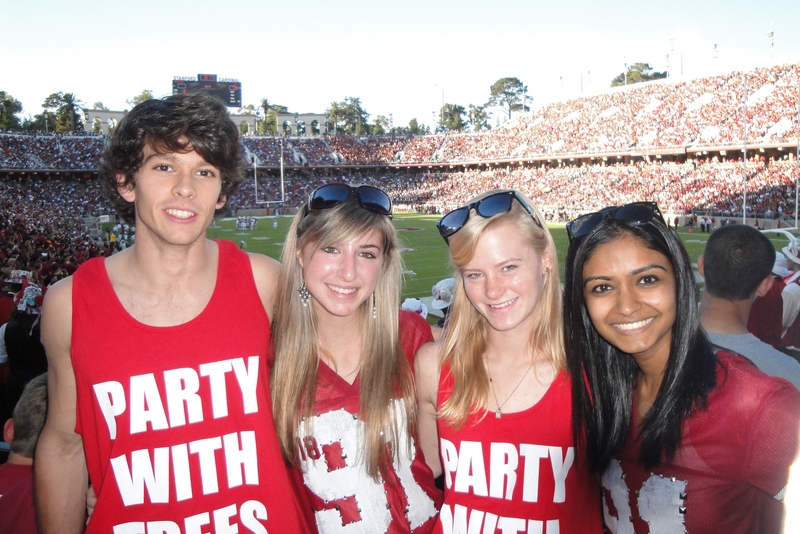 Coming to Stanford ended up being the best decision I’ve ever made. I don’t know what exactly it is, but being here just feels right. I love the people, I love my classes, and I love being at Stanford when I wake up every morning. Now, don’t get me wrong, I was terrified at the thought of leaving Dublin. Stanford’s known for being a highly selective school, and I was scared that when it came down to it, I wouldn’t measure up. I was afraid that all people would care about was grades and that the competition would leave me no time to have fun, but I was completely wrong. Sure my classes are hard, but I go to a school that is all about working together. I don’t feel like anyone is out to get me. I work with my peers and we help each other out, and my grades are looking just as good as ever. I’m currently pre-med, which means I hope to attend medical school after graduating, and I’m still trying to figure out what I am going to major in. Right now, I’m looking at everything from biology to economics to communications, but since I don’t have to declare until the end of my sophomore year, right now I’m just trying out several different fields and seeing what I enjoy most. Another one of my worries about college was that I wouldn’t get a chance to get involved in the extra activities that made my experience at Dublin High so meaningful, but Stanford quickly shot that fear down as well. One thing I love about college is that you can always find someone who shares your interests. Remember that obscure movie you liked or that weird talent you have? Well chances are, someone else on campus shares a love for them. I went from being the one Bollywood dancer in the talent show every year to auditioning for and making Stanford’s award-winning Bollywood dance team, known as Dil Se (which means “from the heart”). 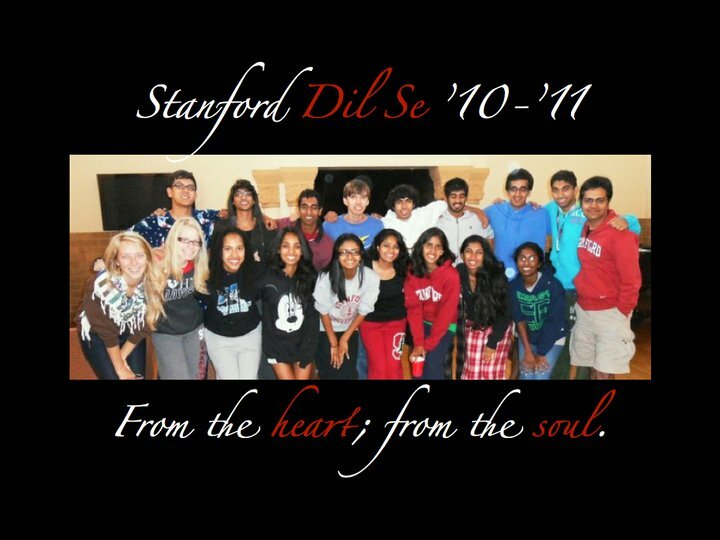 Dil Se is an 18-person co-ed team that travels the country and represents Stanford in dance competitions across the nation, and my team members have quickly become my family members here on campus. Those who know me also know that leadership was a huge part of my life back in Dublin. I’ve continued to be involved here at Stanford by joining Sanskriti, Stanford’s South Asian community, as a frosh intern. I’m learning the ropes of being a financial officer for a cultural organization here on campus while helping plan events that raise student awareness of South Asian culture. Now of course, those of you who know anything about Stanford know that a Stanford education is incomplete without the excitement of Stanford athletics. Despite my busy schedule, I always make time to attend football games. There’s nothing more exhilarating than spending a Saturday afternoon decked out in cardinal and screaming your lungs out. Rain or shine, I’m always out there cheering for my team (who took the Axe back this past Saturday after crushing Cal with a final score of 48 to 14, but hey, I’m not bragging). There are days when I miss Dublin. I miss the familiarity. Being at Stanford is scary, but it’s new and exciting at the same time. I know that the friends I am making are going to be my friends for life, and I know that over the next four years, I’m going to have access to resources and opportunities that I couldn’t get elsewhere. So to those of you still at Dublin High, make sure you make the most of it, because you never want to look back with regrets. I still can’t believe I go to Stanford. It just hasn’t hit me yet. But everyday, I wake up grateful for the fact that I attend such an amazing school. This Thanksgiving, I had a lot to be thankful for, because choosing to color myself cardinal was the best decision of my life. FEAR THE TREE! 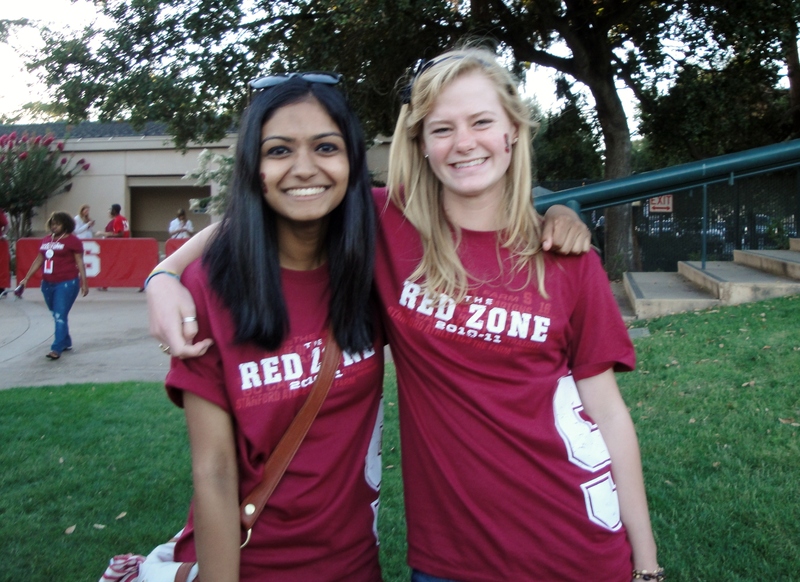 Ravali Reddy was Dublin High’s Class of 2010 Valedictorian, Student Body President and 2009 Homecoming Queen. At the Dublin High School 2010 Senior Awards Night Ravali was recognized as the Jostens Senior of the Year, the Lions and Rotary Student of the Month for Sept 2009, was awarded the Spanish Department Scholarship, and won a Bank of America Achievement Award. Ravali is also a California Scholarship Federation Life Member, was recognized with a Gold award under the President’s Outstanding Academic Achievement program and won a National Merit Scholarship.